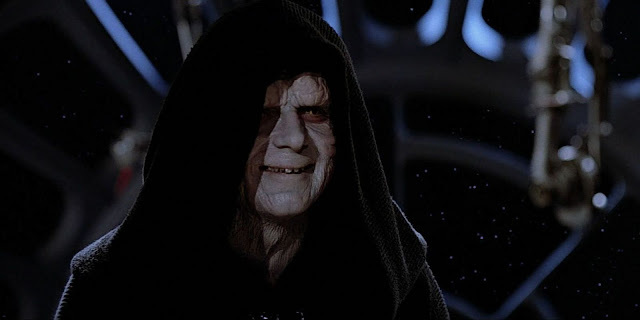 Personally, I had been hoping for an appearance by McDiarmid as the Emperor, even if it was only a brief hologram. It would make sense that if the plans to his ultimate weapon went missing, he might get involved personally (in the film that will probably mean dispatching Vader, something that will likely happen off screen). That being said, with appearances from Vader, Bail, and Mon Mothma confirmed, and rumored appearances by Tarkin, Leia, and Boba Fett, it may be that the filmmakers don't want to rely to overdo the number of cameos from legacy characters. This is, after all, suppose to be the first film outside the main story. Why is Tarkin rumored to be in R1? You can easily see him with Imperial Military Director Orson Krennic with Death Star window view of the red plant down below in the background from the SDCC behind-the-scenes video. It would be great to see Daniel Logan as Boba though he's pretty short for a stormtrooper template.